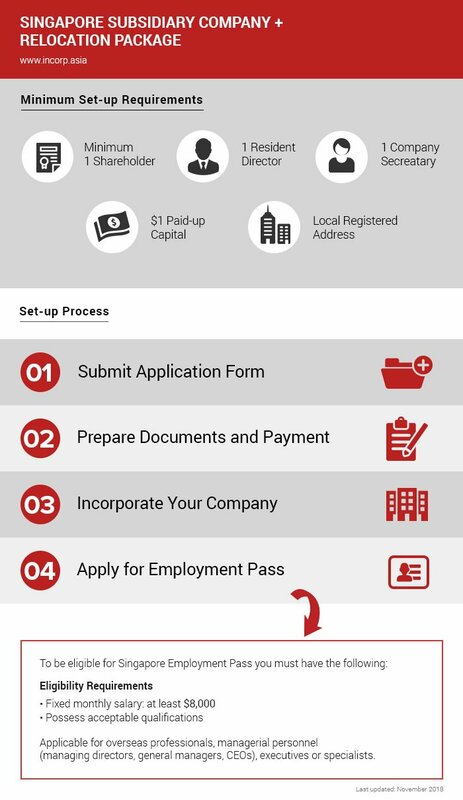 This package is ideal for foreign companies that want to register a subsidiary company and relocate employees to Singapore. To achieve this, the employees must have valid Employment Pass work visas before they can make the move to Singapore. Do note you must register the subsidiary company first. After which, you may proceed with the Employment Pass application. Subsidiary company formation services you can trust. Let our consultants give you specially customized advice and walk you through the immigration and company incorporation process.